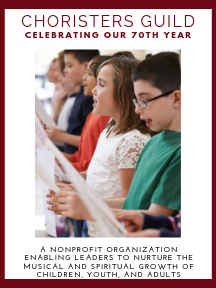 The composers represented in this collection of anthems for the primary-age choir were asked to give some special thought and imagination to this matter so that we could make a significant contribution to the repertoire for the younger choir. We hope you will find the project a very useful tool in your work with these young children. We fully expect that some might find these materials useful with older children.